The deep blue color of these flowers made very attractive spots along the roadside leading to Creedmore Lake in Colorado. At an altitude between 9500 to 9800 feet, they were surprisingly fresh looking for this time of year. 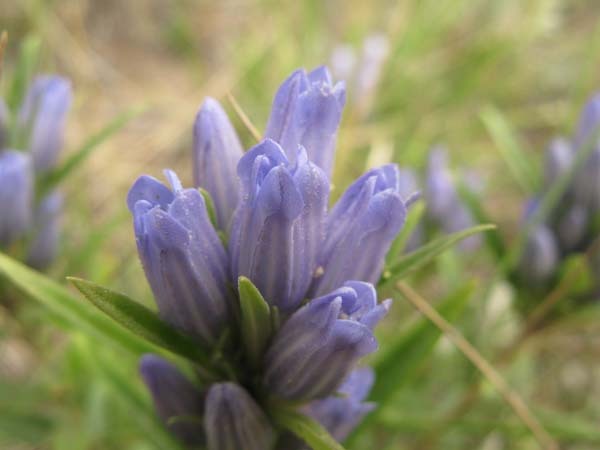 The roots of some gentian species were used for soothing stomach aches by American Indians and early settlers to the west. The family Gentianaceae is quite large at 87 genus and 1500 species. About 400 species belong to the Gentian genus. 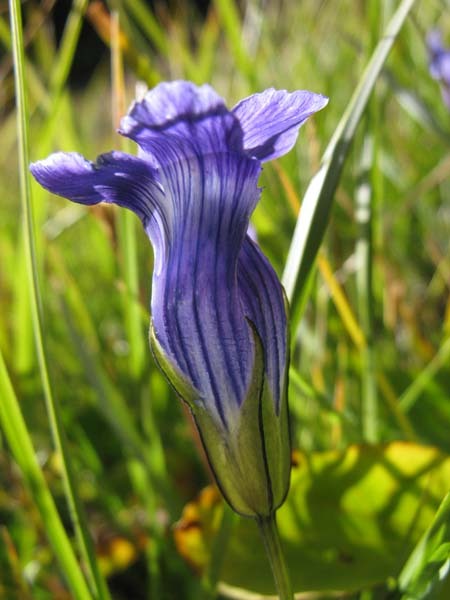 The flowers of this plant resemble Closed Bottle Gentian, Gentiana andrewsii. Look closely at the conformation of the flowers to the foliage. From WIKIPEDIA is this information on the genus; 'This is a cosmopolitan genus, occurring in alpine habitats of temperate regions of Asia, Europe and the Americas. Some species also occur in northwest Africa, eastern Australia and New Zealand. 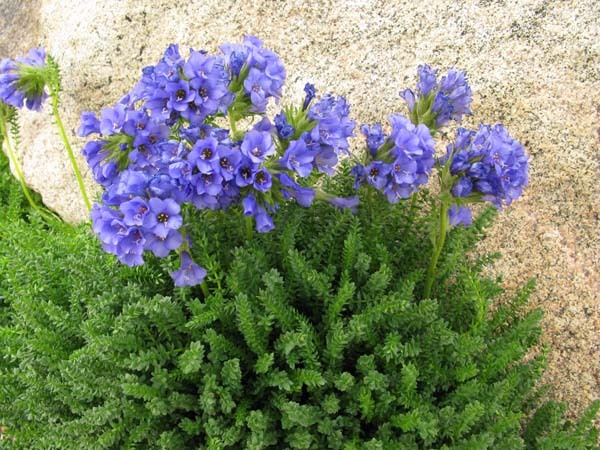 They consist of annual, biennial and perennial plants. Some are evergreen, others are not. Many gentians are difficult to grow outside their wild habitat, but several species are available in cultivation. Gentians are fully hardy and like full sun or partial shade, and neutral to acid soil that is rich in humus and well drained. They are popular in rock gardens. According to Pliny the Elder, Gentian is an eponym of Gentius (180-168 BC), the King of Illyria, said to have discovered its healing properties. 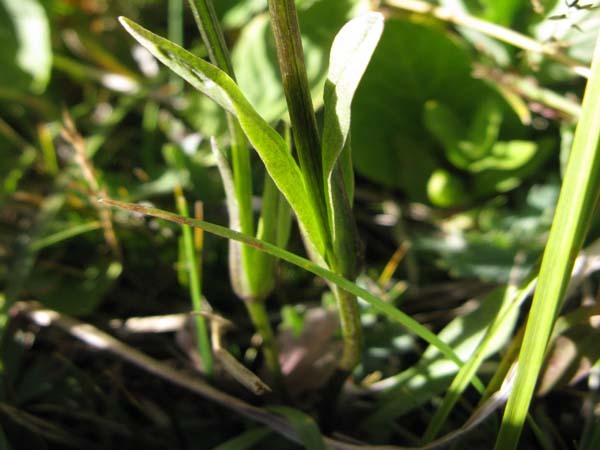 Some species are of medicinal use and their roots were harvested for the manufacture of tonic liquor, for instance in France "Suze" or similar liquors. Gentian is also used as a flavouring, for example in bitters, and the soft drink "Moxie" which contains "Gentian Root Extractives".' End quote. See the other Gentianaceae species - Arctic Gentian - Little Gentian - Mountain Bog Gentian - Fringed Gentian- Star Gentian - found at: Plant location: These refreshing deep blue flowers were in the area of Creedmore Lake, Colorado - photographed on August 31, 2008. These plants are not uncommon to foothills and montane zones with a wide distribution from Canada to Arizona. Bloom period: Mid to late summer. 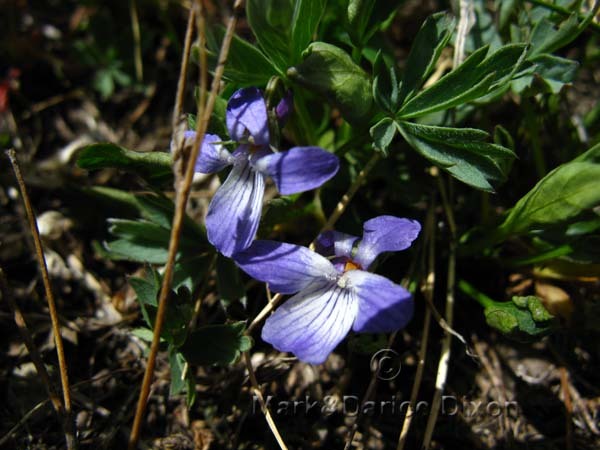 This violet is also known as Viola conspersa. We feel lucky to have enjoyed the sight of this lovely violet. Our specimen was blooming a bit later than the more commonly found time for the flowers to show. This species is threatened in the state of Illinois. 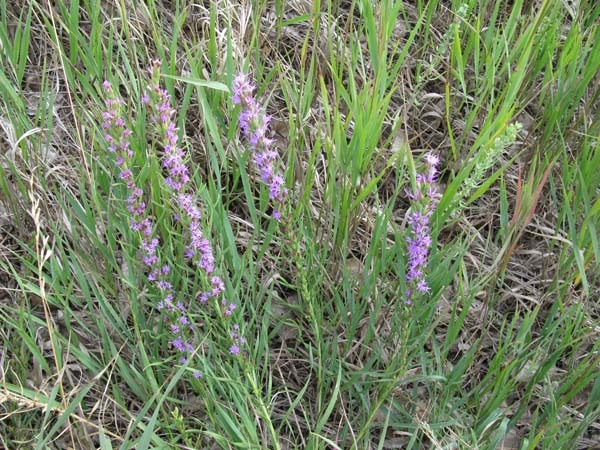 It is listed as a native to Colorado, amoung others, by the USDA plant database. The Violet family is large with 16 genera hosting almost 800 species. Greek Lore: The wonderful book, WILD AT HEART, by Janis Lindsey Huggins, has this delightful information on the Violet family: 'According to Greek mythology, when Zeus' lover Io was turned into a white heifer Zeus commanded violets to grow wherever her tears fell, to console her and sweeten her diet. Violets still sweeten the diet of wild-food gourmets, who treasure the flowers and leaves as nutritious and colorful additions to salads, omelets, and casseroles - but only in moderation. Soaplike compounds in the leaves can upset the stomach. Violet wine was a popular brew in ancient Rome and violet-flower or leaf tea is still used as a beverage in England. 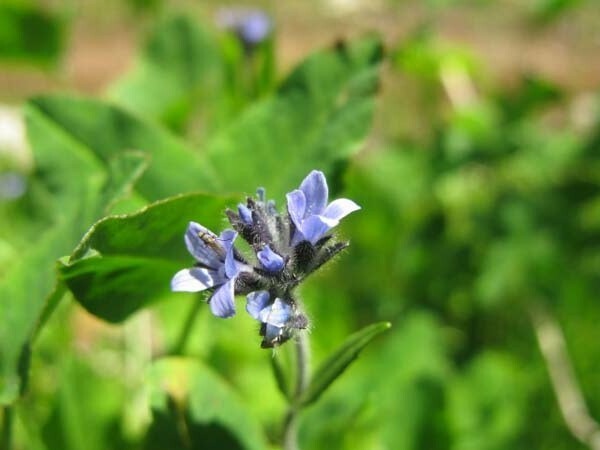 Medicinally, violet leaves have been prepared in salves for skin irritations, poultices for bruises and teas and syrups for coughs, sore throats, and constipation. 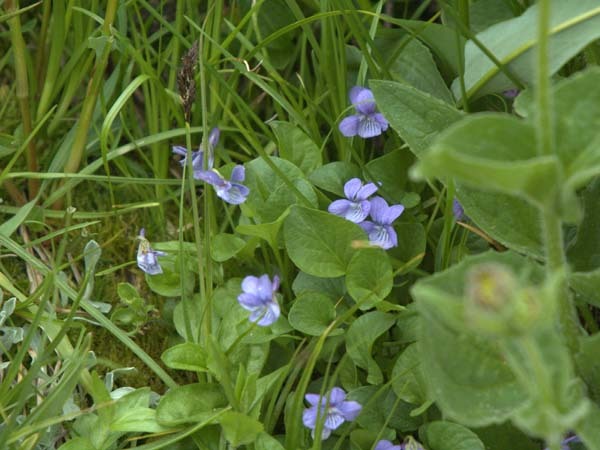 The Greeks and Romans believed strongly in the medicinal value of violets. 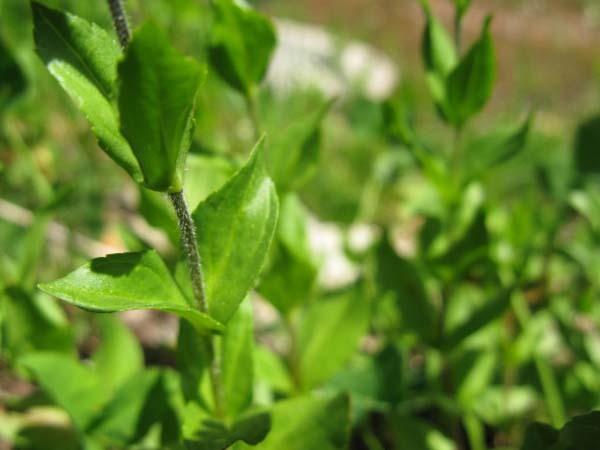 Hippocrates extolled the plant as a cure for headache, hangover, and breathing problems. Violets also have a stong folklore tradition for treatment of cancer. The USDA plant database classification for this plant is an herb. Possibly the effectiveness of some Viola's medical applications comes from the fact that it's leaves, flowers, and roots are rich in vitamins A and C, as well as the antioxidant Anthocyanin. Other uses of species from the Viola genera are in the perfume industry, usually Viola odorata (one of the most pleasing smelling of the violets). In France, a candied violet is still produced, the famous violettes de Toulouse. Certainly a useful as well as beautiful plant! 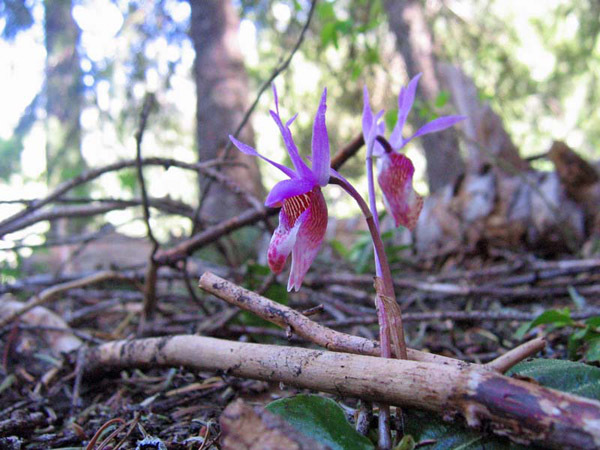 See the other members of genus Viola on this site: canadensis & nuttallii. Plant location: Seen up above Yankee Doodle Lake at Rollins Pass, August 9, 2008. An alpine lover, this plant was in a perfect spot - well over 11,000 feet in the Rocky Mountains. The conditions were very moist, not actually in a stream bed but with trickling water nearby. NOTE: The flower view of this species was replaced with a photograph from a second sighting of these lovely flowers. The location was in the Medicine Bow National Park, Wyoming, on July 22, 2009 - near the Sugarloaf campground. Bloom period: This commonly seen perennial blooms mostly from April through July. Our specimen proves that the plants can show off their pretty delicate flowers longer than that, possibly due to the high altitude where this plant was seen - over 11,000 feet. When we saw these flowers in Cle Elum we were amazed. Never before had we seen such a mix of coloration in flowers so obviously related. I have looked around a bit on the internet for examples such as those we saw but have found mostly only the blue variant. Hence this departure from the usual format followed in this website. I thought the color variations would be interesting to see. Mark took most of the photos from this group. He does such a fine job. Although Batchelor's button is alive and well in North America, take note of the WIKIPEDIA comment; 'It is now endangered in its native habitat by agricultural intensification, particularly over-use of herbicides, destroying its habitat; in the United Kingdom it has declined from 264 sites to just 3 sites in the last 50 years.' End quote. Bachelor's button is a transplant to North America having originated in Europe. 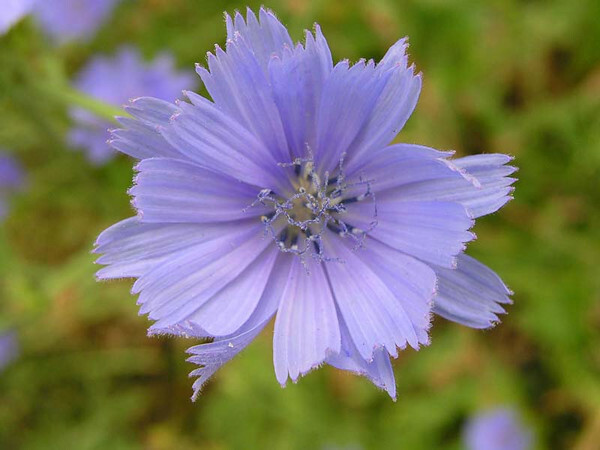 Also from WIKIPEDIA, these interesting tidbits: 'In folklore, cornflowers were worn by young men in love; if the flower faded too quickly, it was taken as a sign that the man's love was unrequited. In herbalism a decoction of cornflower is effective in treating conjunctivitis, and as a wash for tired eyes' End quote. We hope you enjoyed this side-step from the usual format. Plant location: Near Cle Elum Washington, early June 2007 Bloom season: All through summer. The pretty shade of blue caught our eyes during a rest stop while out riding our motorcycles. The foliage of this plant definately outsizes the flowers! Overall the plant is not very tall and could be easily missed. Our specimen was not dwarfed by other wildflowers nearby but there were many in the area. Good company! There are about 500 species in the Veronica genus. 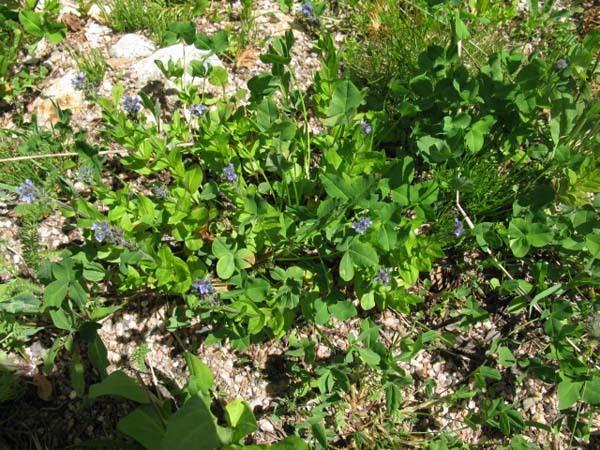 USES: Per WIKIPEDIA is this; 'American speedwell is edible and nutritious and is reported to have a flavor similar to watercress. Native Americans used Veronica species as an expectorant tea to alleviate bronchial congestion associated with asthma and allergies. 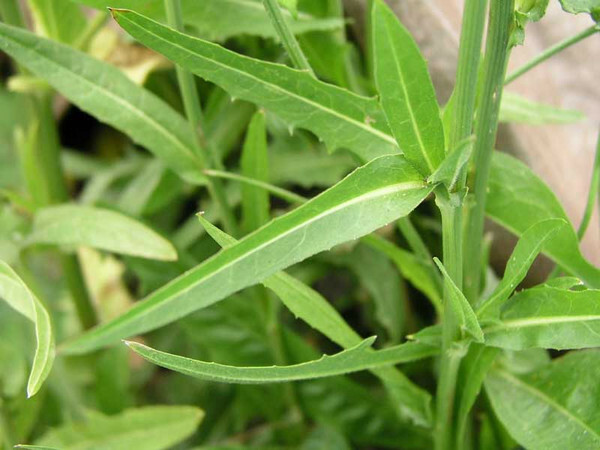 The plant can be confused with skullcap and other members of the mint family. However, members of the mint family have square sided stems, and Veronica species have rounded stems, and so they can be distinguished from skullcap.' End quote. Plant location: Hwy 14, outside of Gould Colorado on July 31, 2008. A subalpine and alipne habitat support this plant. The conditions were moist but not wet. Bloom period: July and August. Charming and tiny. The location was in a shallow ditch off the side of a simple country road. Lots of cows around. This plant is described in the book WILDFLOWERS OF THE PACIFIC NORTHWEST (the one by Turner and Gustafson) as a bog/fen/wetland dweller. Yup, that was it! There was a steady trickle of water in the bottom of this ditch all along the road for a good stretch. 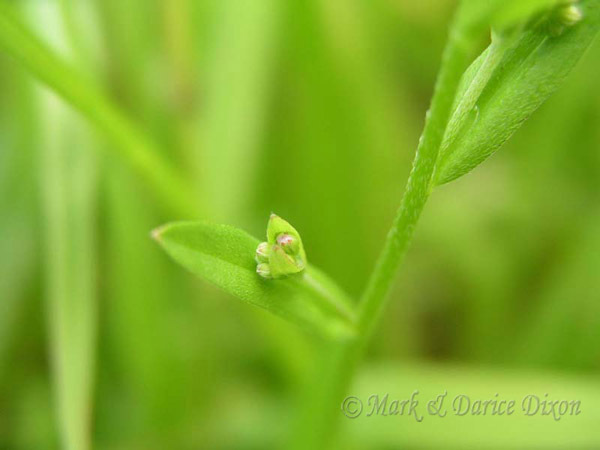 I stopped for some larger flowers or I never would have seen these miniscule jewels. 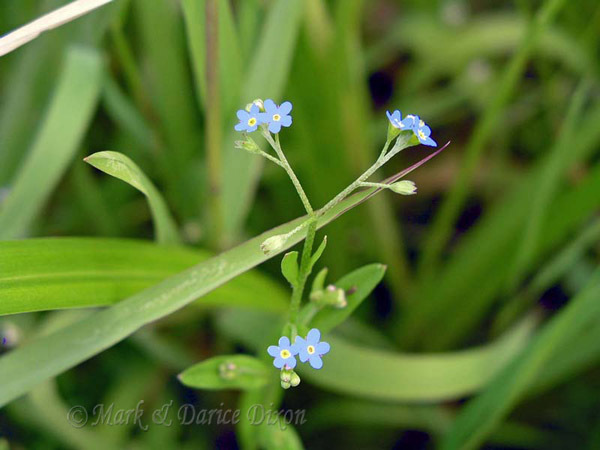 I am now glad I did, the previous publication I just mentioned states that Forget-me-nots are not a commonly seen flower! There are some very good pictures at WIKIMEDIA, go see! There are 12 species in the genus. Plant location: found off of Jackson Highway in Washington - August 2007. Habitats include woodland gardens, groundcover, edging, or planting along streams and ponds. Bloom season: This species shows itself off from February through August. If these plants tasted as beautiful as they look the roots would still be used as a source of food. Parts of the plants were fed to horses to give them endurance. They now offer up a built-in butterfly beacon to help pollinators; their conformation is a long slender tube with the freshest flowers at the top. Florists are partial to the blooms for use in arrangements. 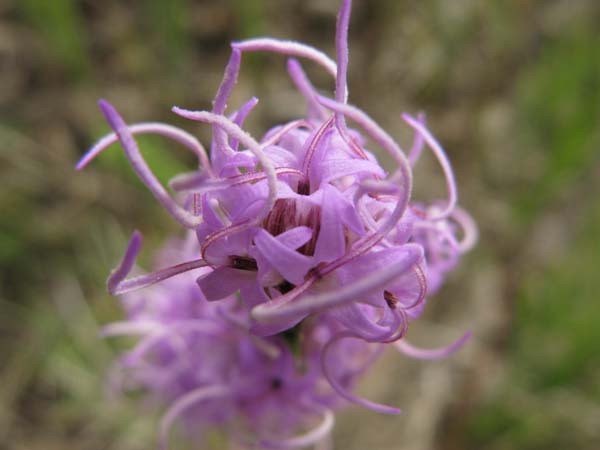 The genus Liatris is a small one with about 30 species in the group according to Wikipedia, but 44 mentioned by the USDA plant database. Plant location: Spotted on August 31, 2008 on the Red Feather Lakes Road in Colorado. The plants were easy to miss except for the lovely color that stood out amoung the various grasses and other flowering plants that surrounded them on the roadside. The habitat of this species is plains and foothill areas. Bloom period: July to October. Bulbosa is the only member of the genus Calypso. These gorgeous flowers topped off an already standout hike on the Ingalls Creek trail. 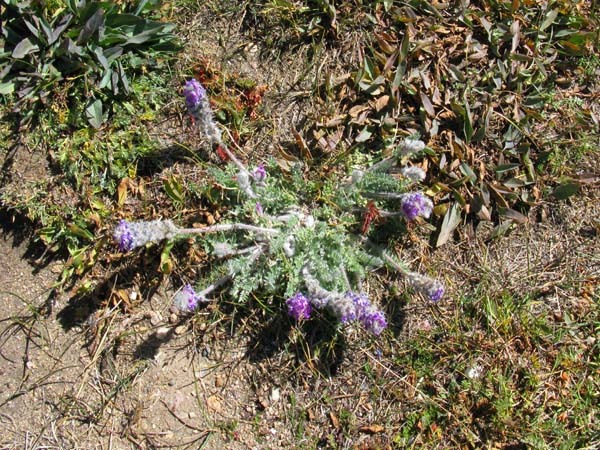 While these plants are found throughout the United States and are also widespread elsewhere in the world, the sightings of them are not common. We were thrilled to have seen them! There were a scant half dozen flowers in a rich loamy soil on the forest floor, deeply shaded, and yet not too far off the well traveled trail. What an awesome treat. In the book WILDFLOWERS OF THE PACIFIC NORTHWEST it is mentioned that the genus Calypso is 'named for the beautiful sea nymph in Homer's Odyssey.' More interesting information on the Calypso is found in WKIKPEDIA. Probably the most important thing we read there was that the plant is considered endangered; not because there are few remaining specimens to date but because they are so fragile and easily disturbed. DO NOT PICK THE BLOOMS, IT WILL KILL THE ENTIRE PLANT. Interesting also is the fact that these plants rely on something called pollination by deception. This is due to the fact that the insects that visit the blooms reap no nutrients. They learn not to come back. Also this plant engages in a symbiotic relationship with soil fungus as a source of water and minerals. This is a new idea to us but apparently 95% of plant families participate in this practice. WIKIPEDIA offers this information on the process: 'In a mycorrhizal association the fungus may colonize the roots of a host plant either intracellularly or extracellularly. This mutualistic association provides the fungus with relatively constant and direct access to mono- or dimeric carbohydrates, such as glucose and sucrose produced by the plant in photosynthesis'. Plant location: Ingalls Creek, trail# 1215 in the Alpine Lakes Wilderness area - Washington state - mid May 2007. Bloom period: May and June, or ealier in more southern areas. STUNNING!! These high altitude lovers are just gorgeous. Showy enough given the vibrant blue color of the flower's petals, but add in bright orange or yellow stamens and they just glow. If they offered an aroma to compete with their looks, they would be matchless. However, according to Dr. Dee Strickler, they smell a bit like a skunk. Ewww! Per Janis Lindsey Huggins in her book WILD AT HEART, the amount of 'aroma' varies by altitude. Based on research the smell attracts bees, while warding off other insects such as ants. Many gardeners adore members of the phlox family in their domesticated areas, but Sky Piolet is probably less utilized. Their need for altitude makes them available only to a circumspect few. Our species is native to western North America. There are only about 25 species in this genus, some of which can be found in the southern Andes in South America. Rarely the flowers may be pink or white. Another interesting bit from Janis Lindsey Huggins is that European Jacob's Ladder was used for pallpitations of the heart, anxiety, and headaches. The Thompson tribes of British Columbia prepared a head and hair wash from it. For other members of this family enter 'Polemoniaceae' in our search engine to find them on our site. Plant location: Seen on Mt Evans Colorado on July 20, 2008. Find them on Alpine slopes. The range is from Alberta and Eastern Washington to Arizona and New Mexico. Bloom period: A perennial that blooms from June through August. THANK YOU Loraine Yeatts for the identification of this plant. This plant fits nicely into the profile for an alpine dweller. It was somewhat low to the ground and covered with fine downy hair, which is a charactaristic that helps retain heat in cold environments. The plant was above the tree line in the Rocky Mountain National Park. 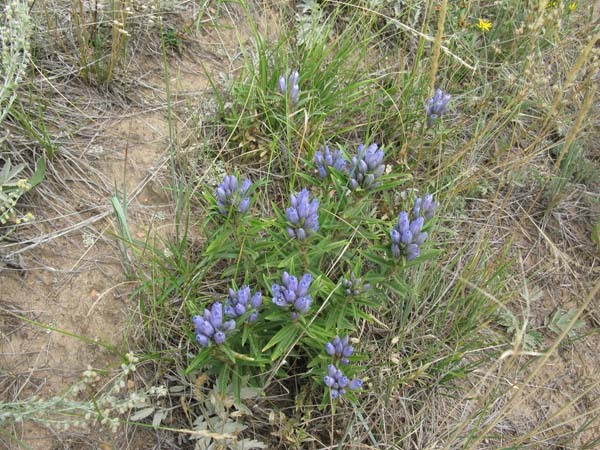 There are only 26 species in the genus Oxytropis, with this particular specimen being poisonous to animals. 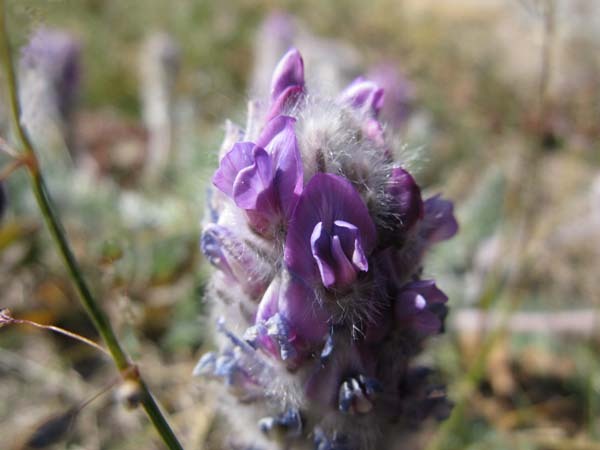 WIKIPEDIA has this on the genus: 'Oxytropis is a genus of plants in the legume family. 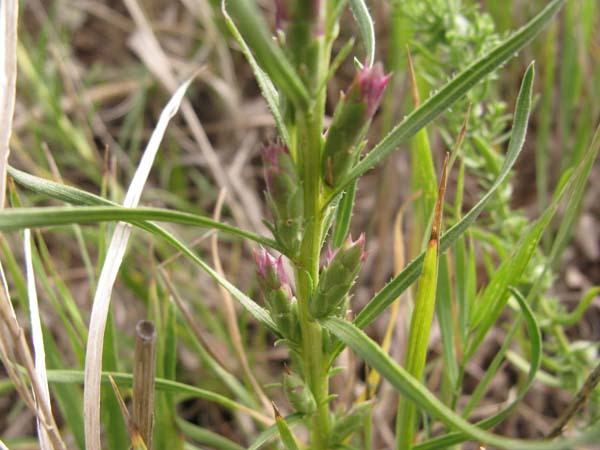 It is one of two genera of plants known as locoweeds, and are notorious for being toxic to grazing animals. 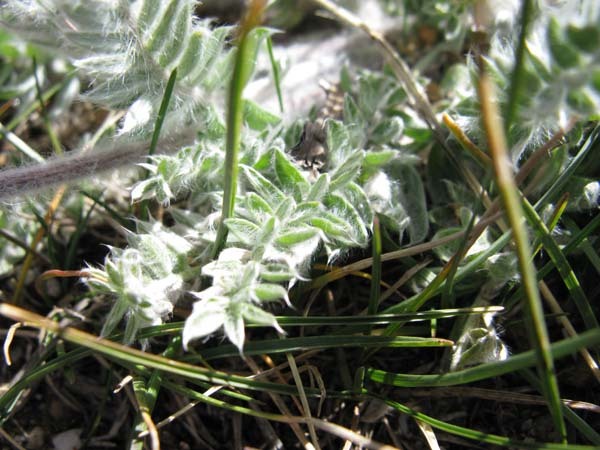 The other locoweed genus is the closely-related Astragalus. There are about 300 species native to Eurasia and North America. Several species are native to the Arctic. These are hairy perennial plants which produce raceme inflorescences of pink, purple, white, or yellow flowers which are generally pea-like but have distinctive sharply beaked keels. The plant produces legume pods containing the seeds.' End quote. Plant location: The cold harsh tundra was the home of this plant. Rocky Mountain National Park, on September 7, 2008. These plants are found (to date) only in 7 of the 50 United States according to the USDA Plant Database. They are much more widely distributed throughout Canada. Bloom period: unknown....note how late in the season this plant was blooming. 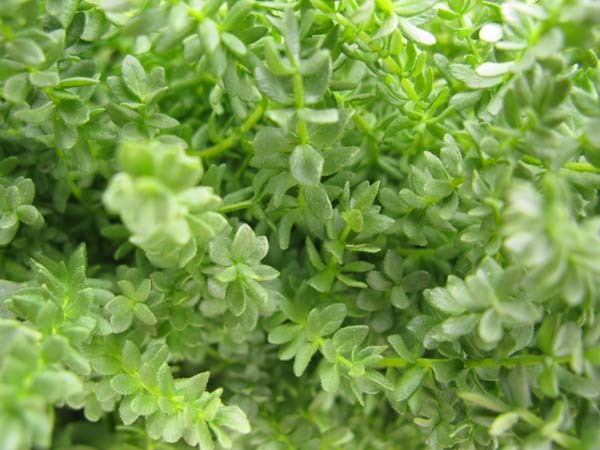 It is a perennial herb. Close relative, Endive, furnishes the famous salad food. Also the roots are used as a coffee substitute, mostly in Europe but also in the American south, especially in New Orleans. Wikipedia notes that references to this plant occur from some of the oldest material on record, even from Homer. He referred to endive as a staple in his diet. The plant did not originate in the United States but was introduced here from Europe. 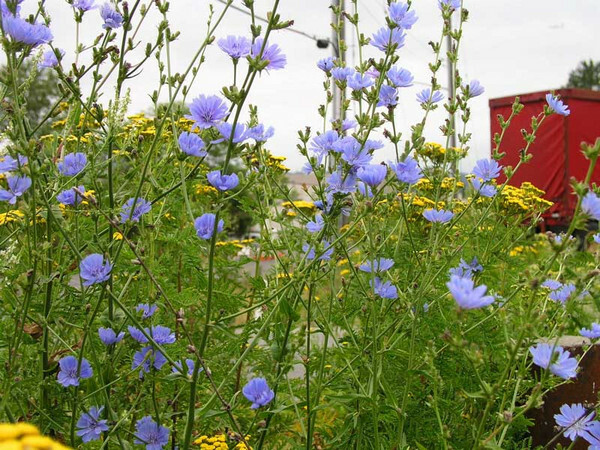 There are only 4-6 wild species of Chicory. It's description in the National Audubon Society field guide - a plant found along roadsides and ditches - is certainly accurate in our locale. We saw plenty of stands of it as we drove about in town and in the country. It is delightful to see. 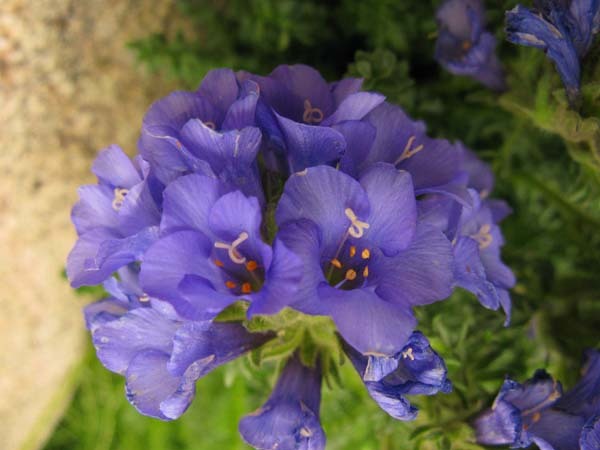 The flower is usually (in our area) a very beautiful shade of blue. But the flowers can be white or lavender too. I have seen white and blue blooms on seemingly the very same plant. There is a surprising diversity of properties to this plant. In addition to the salad and coffee related items, the roots contain a sweetener called inulin. This has generated the creation of strains that produce a sweetening factor of about 30% higher than sucrose! But there is more! The following information on the medical uses of Chicory is from Wikipedia: 'Chicory, especially the flower, was used as a treatment in Germany, and is recorded in many books as an ancient German treatment for everyday ailments. It is variously used as a tonic and appetite stimulant, and as a treatment for gallstones, gastro-enteritis, sinus problems and cuts and bruises'. What an amazing plant! Plant location: This wild chicory stand was right in our own neighborhood, Tukwila Washington, in early July 2007. Given the many useful properties that we learned in our research, maybe next year we will harvest some! Bloom period: March through October. Ahh, the beautiful deep blue to purple-ish color of these flowers was an immediate bet that we had found another gentian. 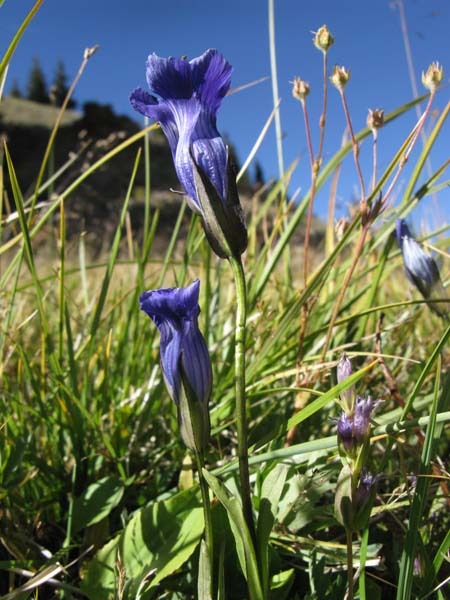 The genus Gentianopsis hosts the fringed gentians specifically of which there are only about 15 species. These plants, as most gentians are, are moisture lovers. Indeed those were the conditions in the meadow where we found them. The plants in this genus can be perennials or annuals and are native to North American temperate zones, and Eurasia. This species is an annual herb. 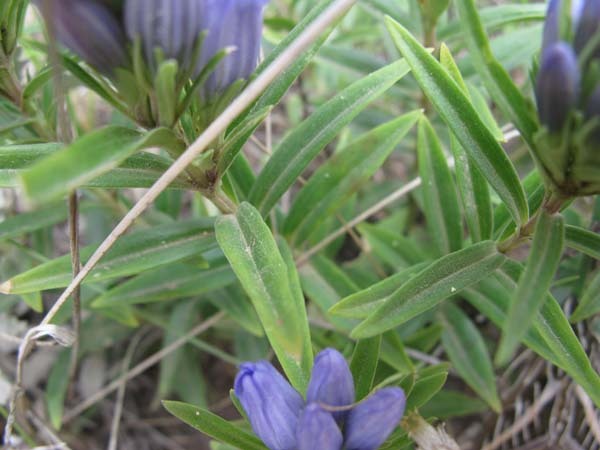 This interesting information is from the Lady Bird Johnson Wildflower website: 'This genus differs from Gentiana by the absence of pleats between the corolla lobes. This species is sometimes combined with the more northerly G. detonsa into one large, very variable, wide-ranging species. This species was named thermalis after the hot springs in Yellowstone National Park where it is the park flower.' End quote. See the other Gentianaceae species - Arctic Gentian - Little Gentian - Mountain Bog Gentian - Pleated Gentian- Star Gentian - found at: Plant location: A pretty meadow in the Rocky Mountain National Park on September 7, 2008 was the site where we saw this lovely flower. The plants are subalpine to alpine dwellers. Bloom period: July through August. Our specimen illustrates that the bloom period can extend. Possibly the high elevation was a factor. We were at approximately 10,000 feet.